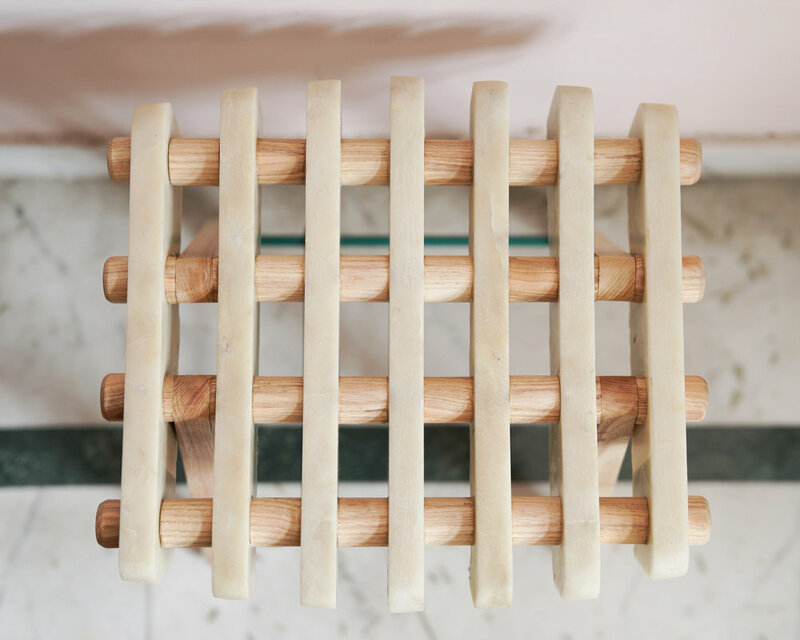 Marble, Steel & Timber; materials experienced in everyday life in Delhi. Marble is the setting for life in Delhi – ornately carved and arranged in temples and mosques visited daily, but also adorning most simple apartment buildings and providing the foundation for family life. In the marbleworkers stockyards on the outside of the city, the huge, rough slabs are sliced into neat squares, their jagged edges discarded. 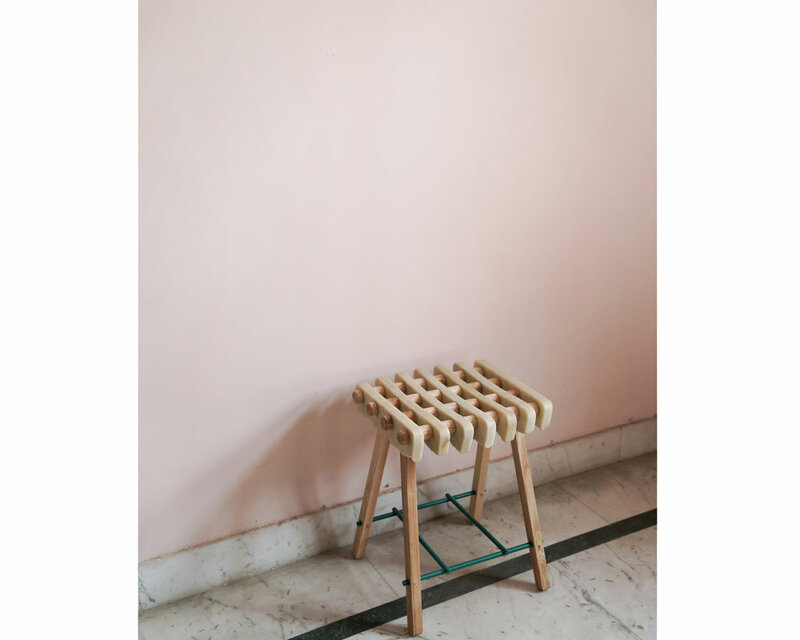 The spare marble stool is a reinterpretation of the material, taking this surplus edge and using it in a distinctly different way, hiding amongst timber and revealing itself to the user by touch rather than by first sight.